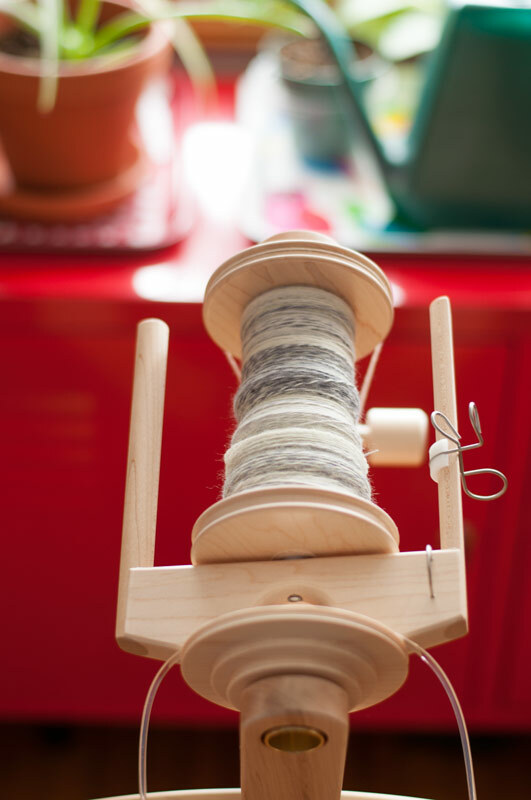 I got a new jumbo plying head for my spinning wheel, and finally got to trying it out this weekend. It’ll definitely take some getting used to, and it takes quite a bit of muscle to keep it going! 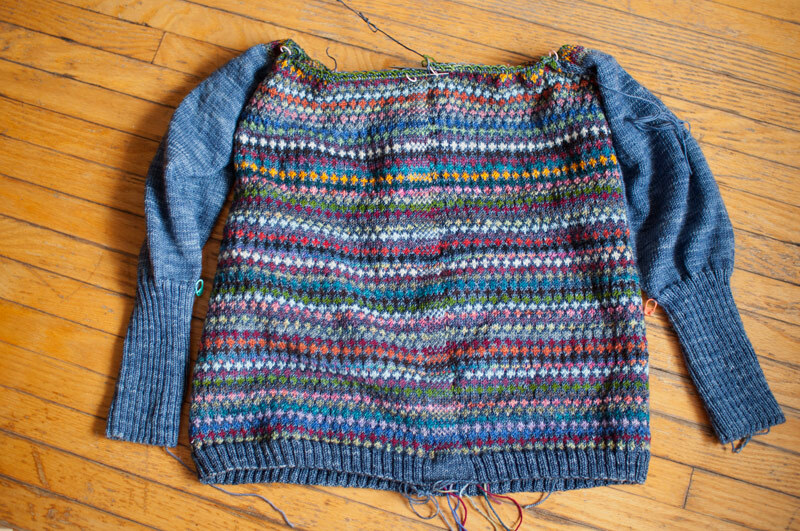 I’ve gotten down to the waist of my garter stitch wrap cardigan, though you certainly can’t tell from this blob! 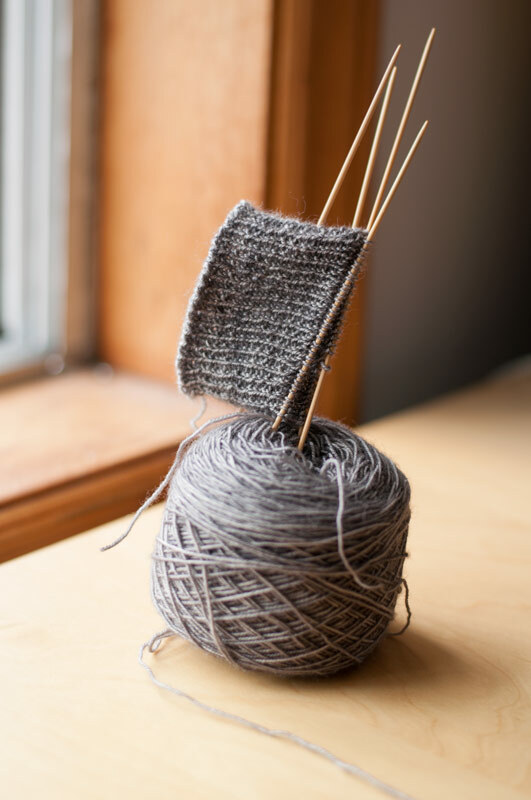 For some simple knitting to keep in my purse, I started a new pair of socks for Dale – I didn’t knit him any new ones this winter and the older ones are getting worn out. 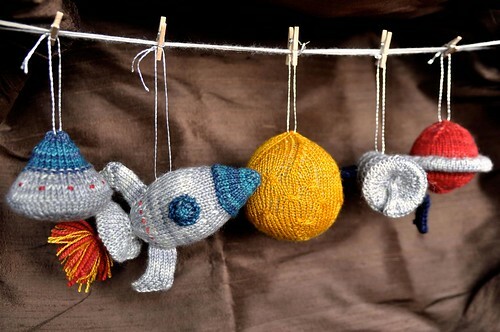 Unfortunately I can’t remember what yarn this is, and there were no tags! 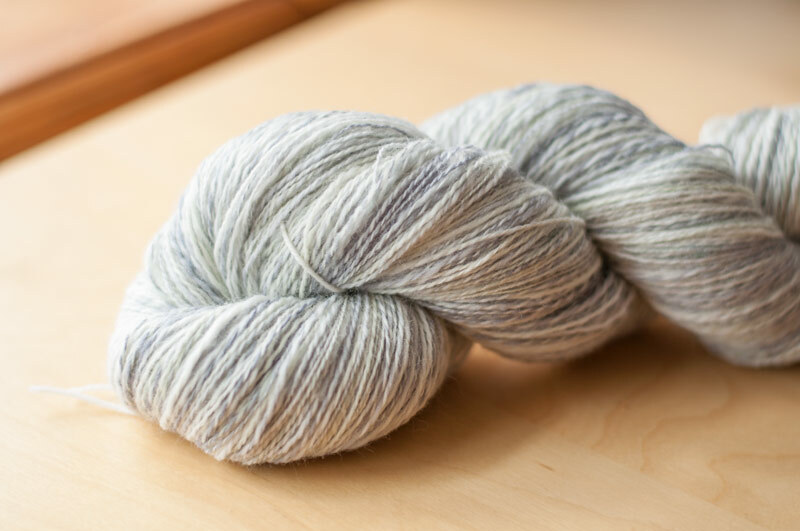 I’m pretty sure it’s naturally dyed, and I got it at TNNA some years ago. 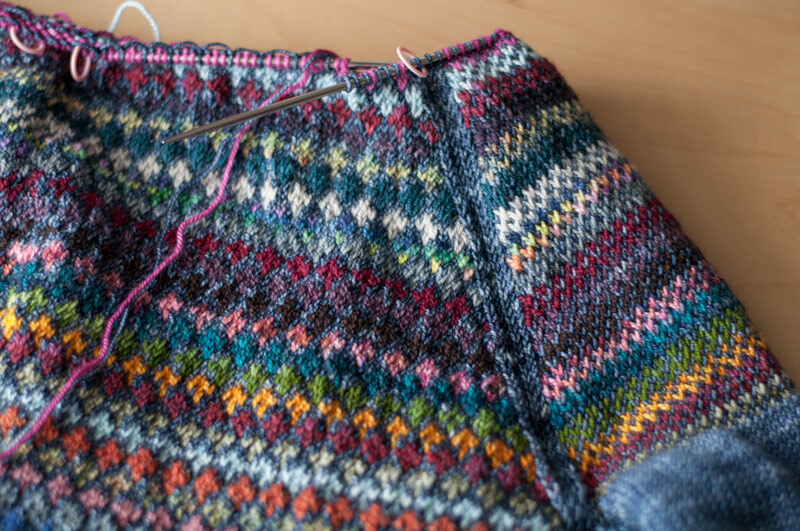 It’s got a nice tight twist that should make for hardwearing socks. 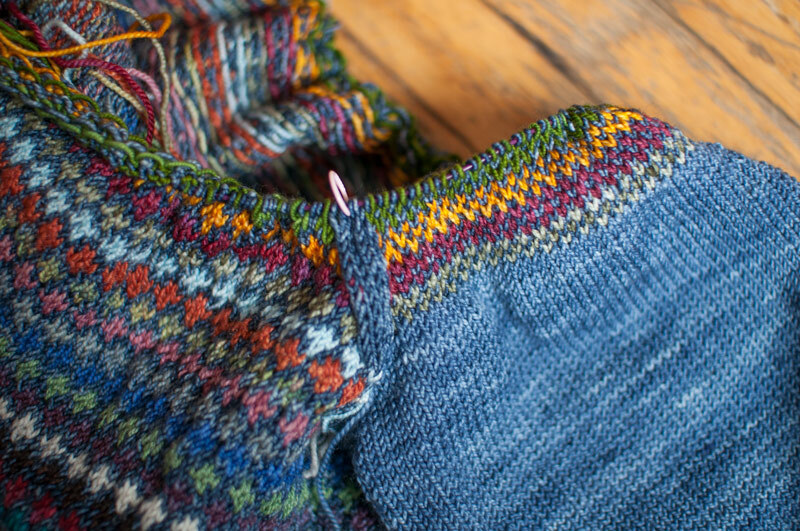 My colourwork raglan has been joined for the yoke, finally! The rounds are getting shorter, and I’m nearly to the top now. 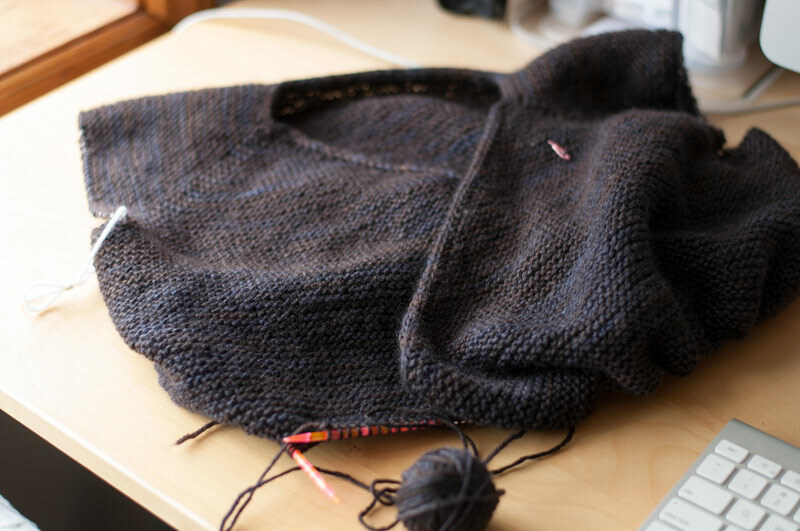 I keep going back and forth on what I’m going to do with the neck, but I should really get that sorted now.